While winter holds a natural beauty all its own in Northern Virginia, it can get downright cold! Fortunately, the region&apos;s toasty indoor sites and activities are just as inspirational as our outdoor ones and are great whether you’re exploring with the kids or hoping for an adults only night out. And as a bonus, these indoor places are a lot less crowded in winter. 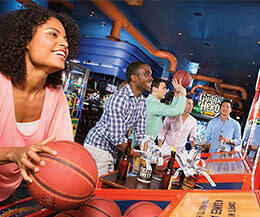 So check out our list of some fun cold weather things to do indoors that will make you forget all about winter&apos;s chill. Fairfax County puts you right in the heart of all the Washington, DC area has to offer, so if you&apos;re looking for a world-class winter getaway that makes your temperature rise, make plans to visit today! Northern Virginia, DC, and the surrounding area is chock full of fun (and heated) museums, including a multitude that are of the famous Smithsonian brand. The world-renowned Smithsonian museums are a DC tourists&apos; staple for sure, but what a lot of people don&apos;t know is that one of the hottest Smithsonian museums isn&apos;t in DC at all. 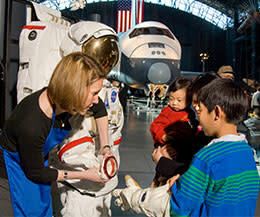 The National Air and Space Museum Steven F. Udvar-Hazy Center is right here in Fairfax County near Dulles International Airport. Here you can see the Space Shuttle Discovery up close and personal, or take selfies with the Concorde and SR-71 Blackbird. You&apos;ve come to the right place if you want to brush up on your history. George Washington didn&apos;t lead this country to freedom just so we would have to stand outside in the cold to appreciate all his hard work. Mount Vernon&apos;s bevy of historic activities stay nice and warm year-round so you can concentrate on George&apos;s fascinating history and not surviving the brutal winter like he had to do at Valley Forge. 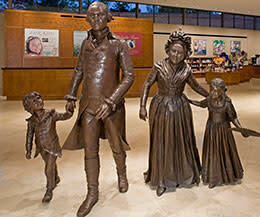 Nearby you&apos;ll find another Founding Father&apos;s home - George Mason&apos;s Gunston Hall, that also has plenty to do indoors as you learn about the man who&apos;s writings inspired America&apos;s Bill of Rights. Golf? In winter? Yes please! The temperatures at Topgolf is typically 20 - 30 degree warmer than what it feels like outside because they were smart enough to equip their rentable bays with heaters that will keep you warm and toasty while you&apos;re pretending you&apos;re at Pebble Beach. 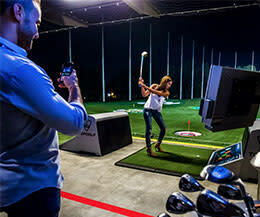 The premise of Topgolf is that players hit microchipped golf balls at targets on an outfield. Just picture a larger-than-life-sized outdoor dartboard - but for golf. And for a little friendly rivalry, the high-tech balls instantly score each shot&apos;s accuracy and distance. 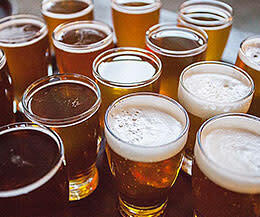 Winter is the perfect time to belly up to the bar at one of Fairfax County&apos;s craft breweries. Reason number one is that you need to figure out what brews you like before spring gets here so you can plan your growler getaways for picnic and grilling season. Reason number two is that the breweries here make really good beer. Like award winning beer. Fairfax County has 8 craft breweries for you to find your perfect elixir for the winter blues. 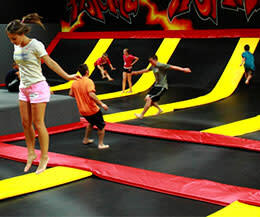 Flight Trampoline Park is a venue that features over 50 trampolines, the famous angled wall trampolines, and a series of launching decks from different heights. During this thing called open jump, there are no age restrictions and any and all jumpers are welcome. Jumpers who are not taller than 46 inches must jump in our kiddie court. Open jump time slots on Friday, Saturday, and Sunday book up fast! Please pre-purchase your tickets online to reserve your flight time (2-3 days in advance) - and you have to be at least 13 for your adults to drop you off to bounce by yourself. Ok, so we all remember Laser Tag...Well, fast forward 20 years and that whole children&apos;s game has evolved into another level of competition and fun. 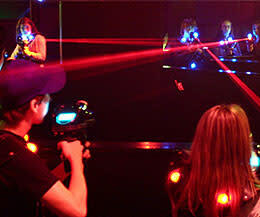 At Shadowland Laser Adventure Center - in Springfield and in Chantilly - you can relive your glory days as Laser Tag champion, or conversely be completely humiliated and humbled by your children and their friends. You will be briefed, equipped with a body suit, and given your phaser and sent into a eerie chaos-filled maze type arena where you&apos;ll find you and your team pitted against your competition. Visit their websites and see their rules and recommendations for playing and get a heads up on their busy times so you can beat the crowd. Tired of looking around and seeing all the drab colors of winter? 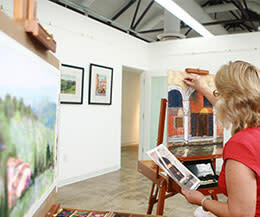 We suggest you plunge into the colorful world of visual arts at one of our local art galleries! Face it, your eyes have been waiting to feast on some vibrant color ever since the summer flowers died and the bright leaves of autumn blew away - so heading to a place like the Workhouse Arts Center, the Emerson Gallery, or ArtSpace Herndon will liven up your retina&apos;s cones (look it up) and put you in a more pleasant state of mind. If you want to head across the Potomac there&apos;s also the National Gallery of Art or the American Art Museum. You might not be able to escape winter totally, but you can sure get your mind off of the cold weather by visiting one of Fairfax County&apos;s fun and thought provoking escape rooms. 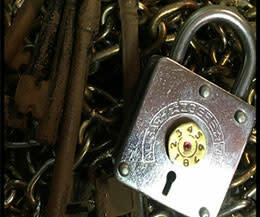 We have four different escape room adventures throughout the County. Breakout Games - DC Escape Room in Falls Church, Escape Room Herndon, Escapology - The Live Escape Game in Fairfax, and Room Escape Fairfax/DC in Fairfax. All showcase their unique brand of themed escape plots for you and friends or family to figure out as you race against the clock. Be sure to reserve your space in advance as these popular attractions tend to be be particularly busy during the colder months.